Kluwell's My Home Reading Journals act as a record of reading by a student during an entire school year. 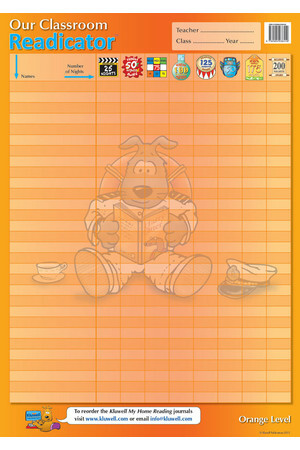 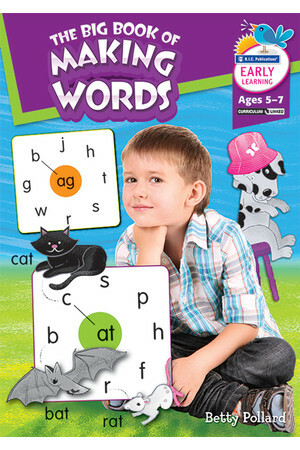 This journal is suitable for children 4-7 years old. 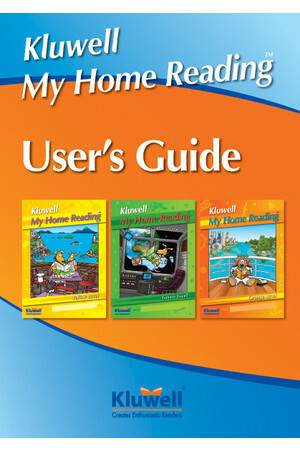 Part of the series Kluwell My Home Reading Journal. 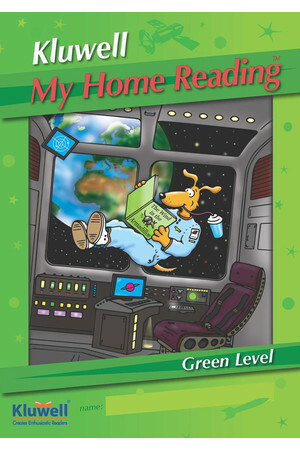 Kluwell's My Home Reading Journals act as a record of reading by a student during an entire school year. 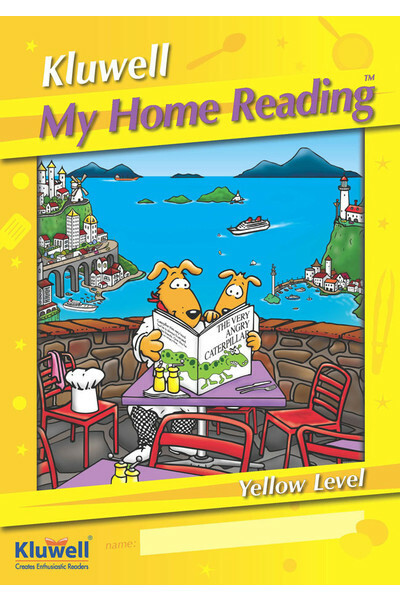 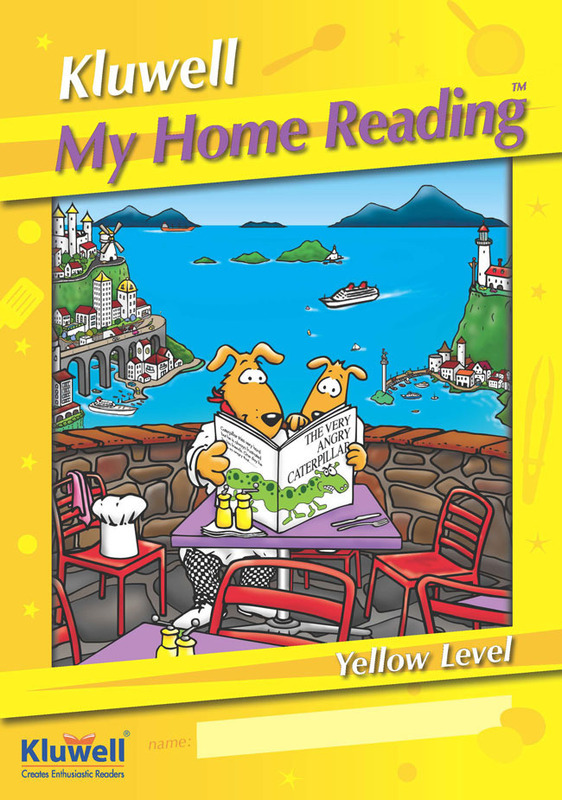 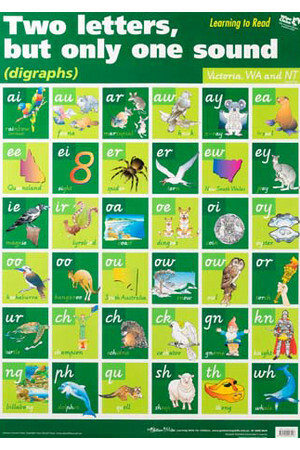 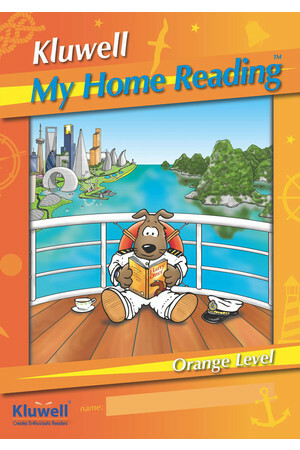 A resource that motivates children to read regularly at home. 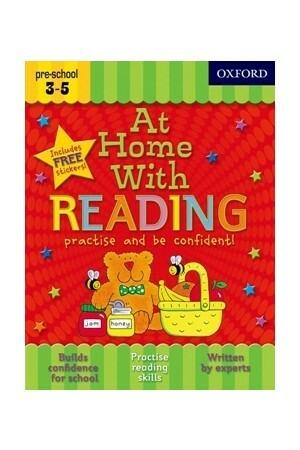 Includes many useful tips to help make reading rewarding and enjoyable. 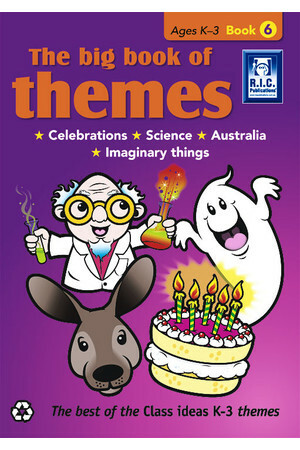 This journal is suitable for children 4-7 years old. 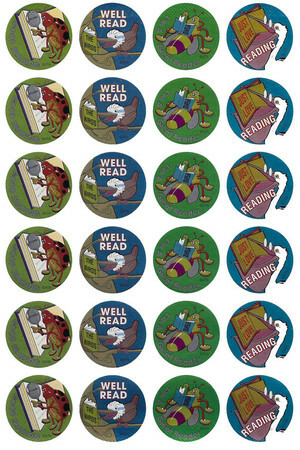 Contains unique AWARDS AND STICKERS in recognition of the number of nights a child reads at home. 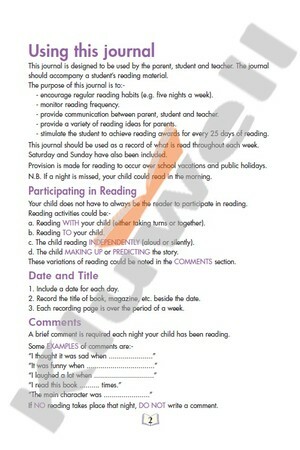 The ideas in the journal are directed towards the parent. 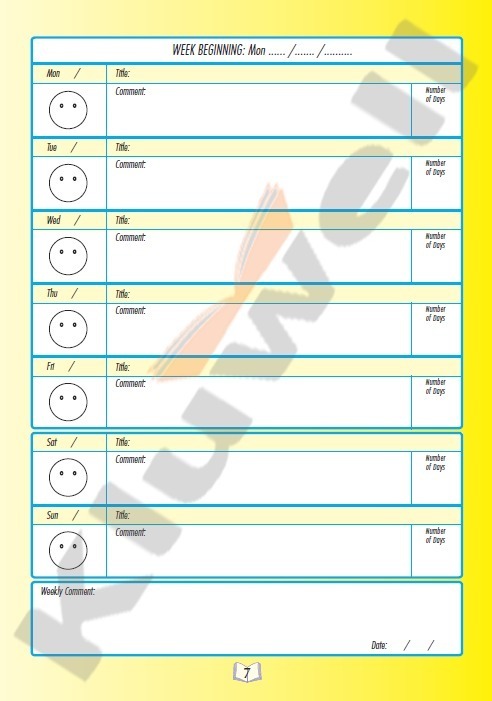 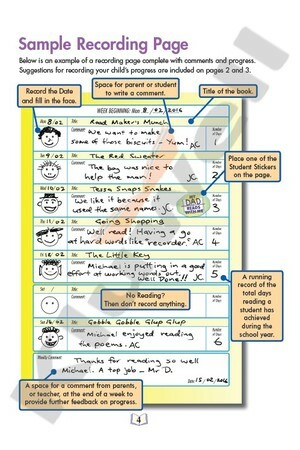 Parents are encouraged to take an active role in making sure the recording pages of the journal are filled out. 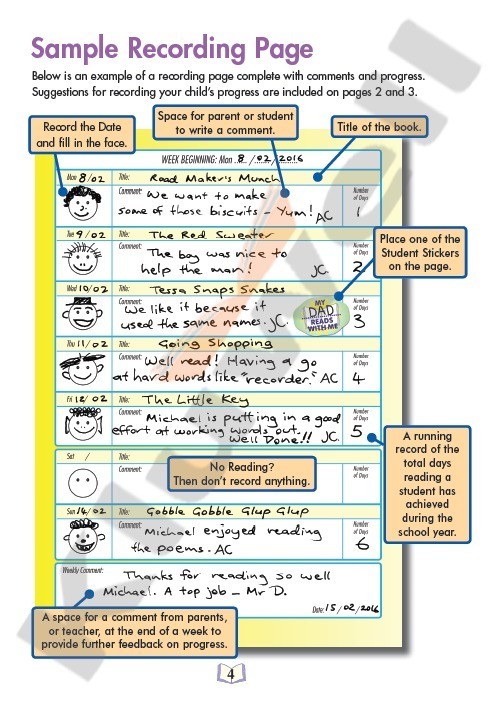 Students love filling in the smiley faces, and may like to dictate a comment for the parent to write. 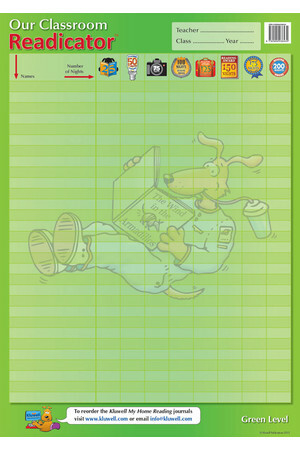 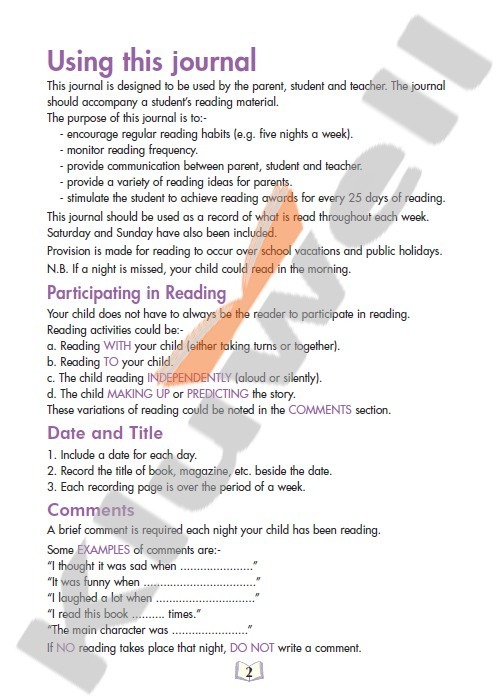 Teachers are encouraged to regularly collect these journals to monitor reading participation at home. 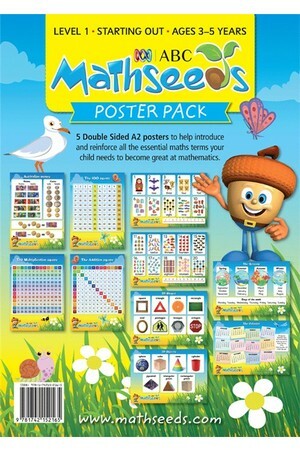 Fantastic value and lasts all year. 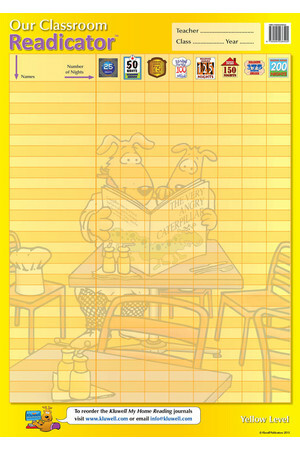 What else can you purchase for $4.50 that will last so long? 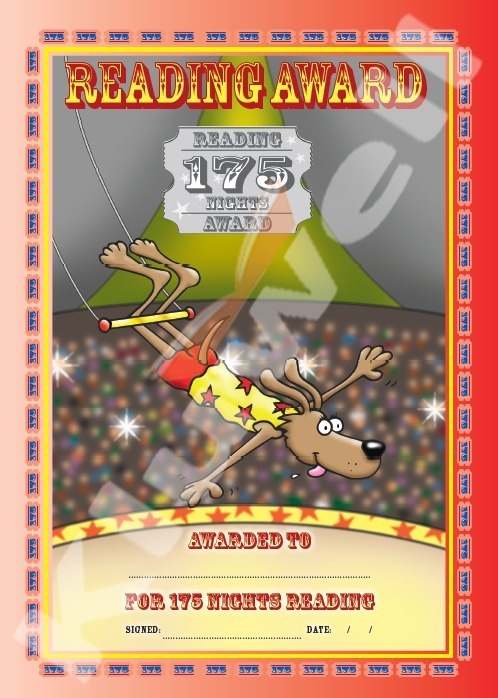 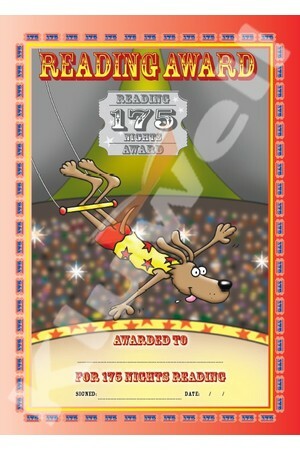 Excellent reward system with awards and stickers that encourages children to want to read. 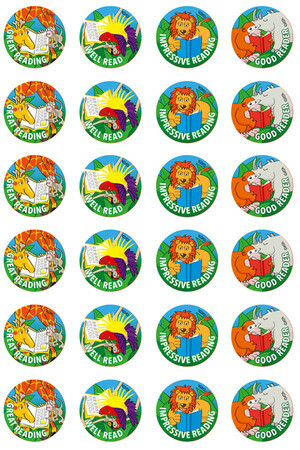 Develops positive reading attitudes with students and parents. 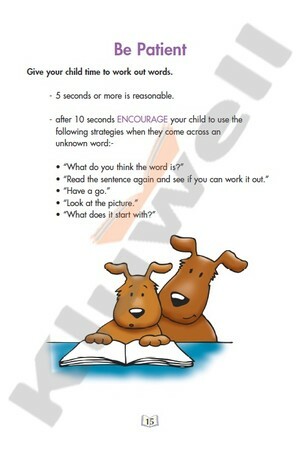 Encourages parents to be involved, by reading with their child. 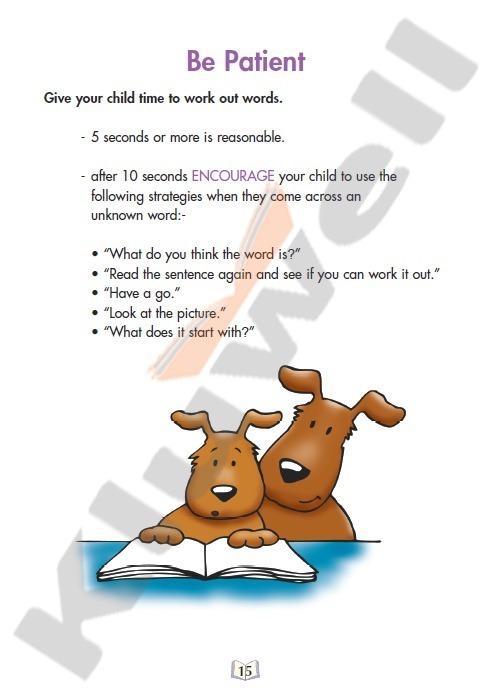 Gives parents reading strategies to support their child. 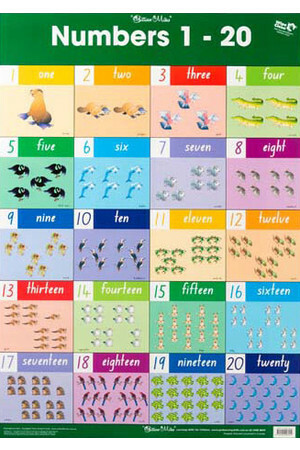 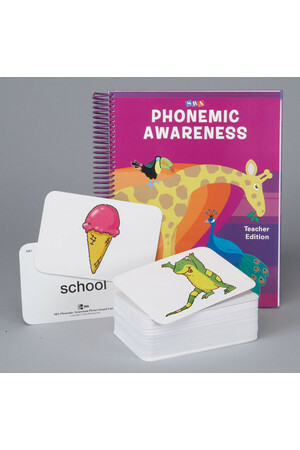 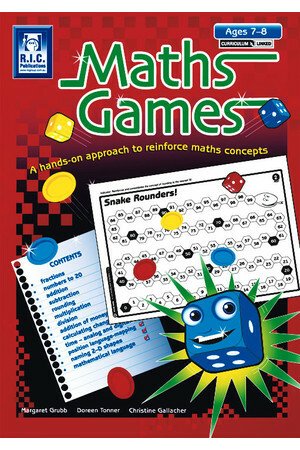 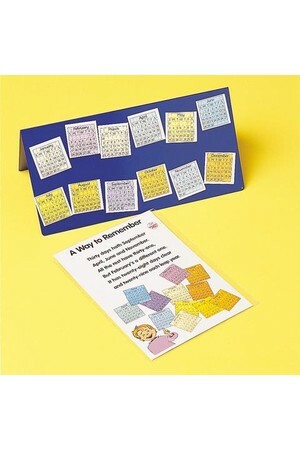 Encourages positive communication between parent, child and teacher. 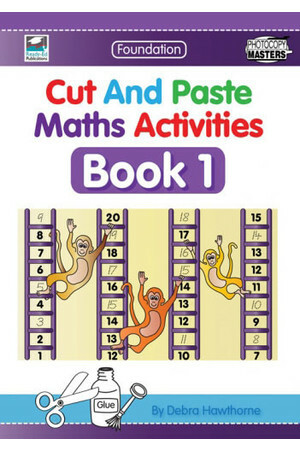 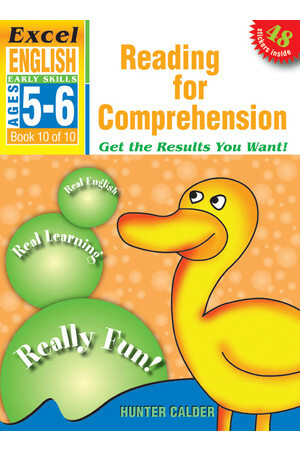 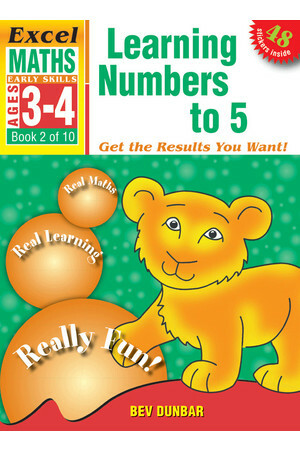 Attractively presented – children take pride in using this book.